Watch the trailer for Sepultura Endurance below. Ultimately, the film is a testament to the endurance required to make a documentary for almost seven years, taking itself 800 hours of footage to complete. When you’re filming cinema verite style, you’re following the story as it’s unfolding and you don’t know the destination. Sepultura Endurance has been a great journey." 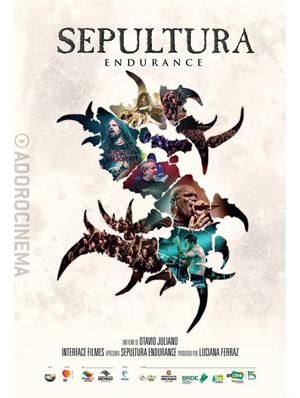 The Sepultura Endurance screening will start at 1pm PT. For more information on the screening and to purchase tickets, go HERE. SEPULTURA ENDURANCE - Trailer English subs from InterFace Filmes on Vimeo.